Picture how it would feel to wake up in an unfamiliar place, unable to remember how you got there or even what your name is. Complete confusion swiftly turns into fear and anger, and you may find yourself lashing out at the stranger standing beside your bed, speaking to you in a soft voice. This scenario paints a bleak and sadly accurate picture of an Alzheimer’s patient’s reality. Now imagine standing in front of a person you love, and having that person look at you with no recognition whatsoever. Each day your heart breaks a little bit more, but you push through the pain and go on with your caregiving duties for your loved one with Alzheimer’s. According to the latest report from Alzheimer’s Association, a whopping 17.7 billion hours of care are provided by family caregivers each year to those with Alzheimer’s. With the relentless emotional strain that caring for someone with Alzheimer’s can result in, it’s easily one of the most stressful types of care provision. 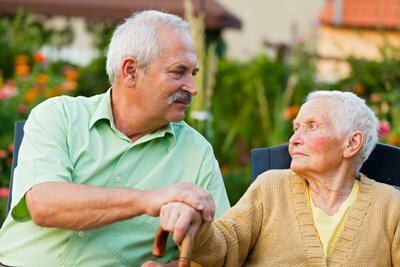 Family caregivers have several issues that contribute to their level of stress, such as problems with “letting go” of the senior affected by Alzheimer’s; feeling guilty when considering nursing home placement; or fear of seeming vulnerable and inadequate if outside help is sought. Without a doubt, these statistics outline a tremendous need for chronic and long-term caregiver respite care. And respite is required more than once or twice per year to be truly beneficial. Family caregivers need to understand that support is not only helpful but necessary, and they need to take a break and enjoy a life of their own. Devoting a life entirely to providing care for another person can actually cause great harm to both people’s lives. Caregivers who allow themselves regular respite feel rejuvenated and better able to provide the highest quality care. And those who do not are at risk for caregiver burnout. If any of these warning signs resonates with you, call Hired Hands Homecare today at 866-940-4343. We’ll provide a free in-home assessment, and create an individualized dementia support care plan for your loved one, allowing you a much-needed opportunity to recharge. Compassionate, professional help is just a phone call away.